Continuing on with our annual tradition of getting out of town for our anniversary, my husband Dave and I visited Dinosaur Provincial Park, a UNESCO World Heritage Site in our home province of Alberta, for our seventh anniversary last August. Like the year before, we wanted to stay close to home since we had a month long Europe trip just a few weeks later. 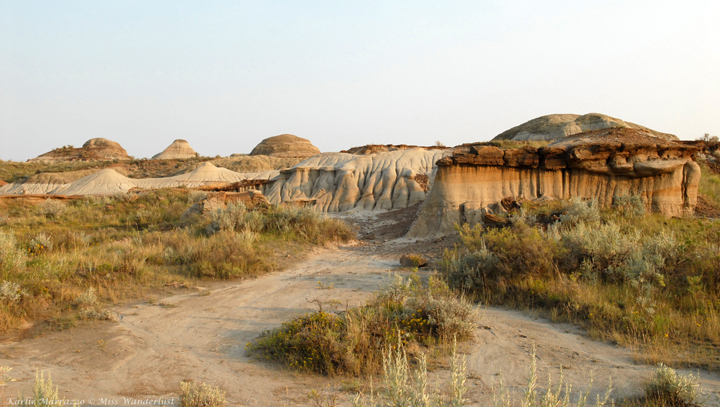 Many people that we talk to here at home don’t know much about Dinosaur Provincial Park, or think that it is part of/near Drumheller, when it is two hours, or 169km, south east of the town that is home to the world famous Royal Tyrrell Museum. My dad had camped there previously and raved about it, and we were drawn by the prehistoric history and barren badlands landscape. Accommodation options in the area are limited – there is a popular campground in the park, but if you’re not into that sort of thing, the closest town, Brooks, is 40 minutes away. I hadn’t been camping since my early teens and I liked it that way, but I didn’t want to drive two hours every day to enjoy the park. I wanted to sleep in if I wanted, be able to get to the hiking trails easily, and simply relax and enjoy some peace and quiet. Luckily for me, Alberta Parks offers something called Comfort Camping at a few of their campsites. These are tents made of high-quality canvas with a wooden floor, a bed, electricity, a small fridge, a BBQ and everything you need for cooking. We chose the best spot in the place, a riverside unit. At over $100 a night, it’s nowhere as cheap as tenting it, but worth the splurge for someone like me. For tips on what to pack for an Albertan camping trip, check out Mostly Organized’s camping checklist. 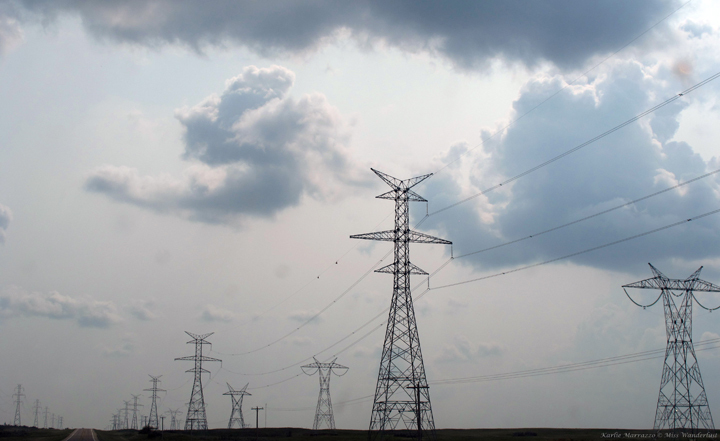 The five-hour drive from Edmonton to the park along two-lane highways (#14 and #36) was sublime. There was haze hanging in the hot air. We rarely passed other vehicles, instead passing forests of power lines on either side of the road. Driving through the Canadian prairies gives me a sense of the vast nothingness, of the world stretching out endlessly before me that hasn’t been replicated anywhere else in the world. 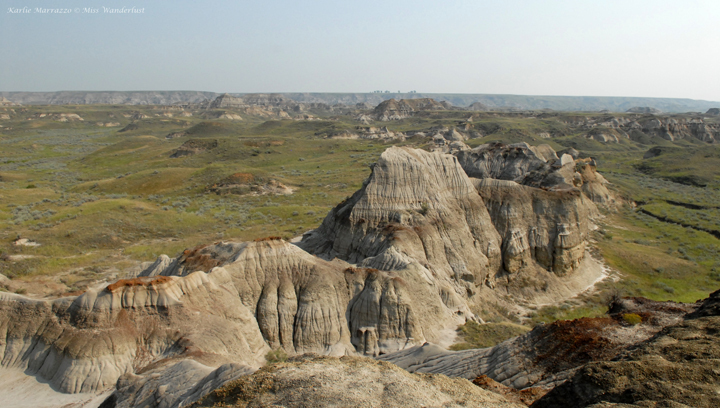 All of a sudden the ground opened up before us to reveal vast valleys and bizarre rock formations that are the badlands and hoodoos. We arrived on a Sunday afternoon and settled into our tent. The heat was strong but there were sprinkles of rain on and off. We barbequed a couple of hotdogs, made a salad and enjoyed an early supper at the picnic table on our deck. 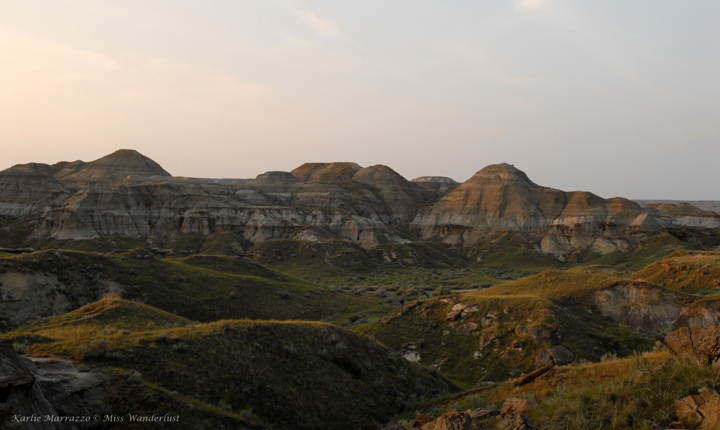 We had the Sunset Tour, “a journey into secret areas of the Park to get the perfect photograph, or to simply soak up the natural beauty of the badlands in the evening light”, booked for that evening. We were disappointed to learn that it was cancelled due to the rain, making the off-road driving impossible. The friendly park ranger we spoke with suggested we drive over to Fossil Station #1 and catch the sunset from over there. We parked our car and scrambled up and over, down and around the rock formations until we found a perfect spot, completely alone and in utter silence. 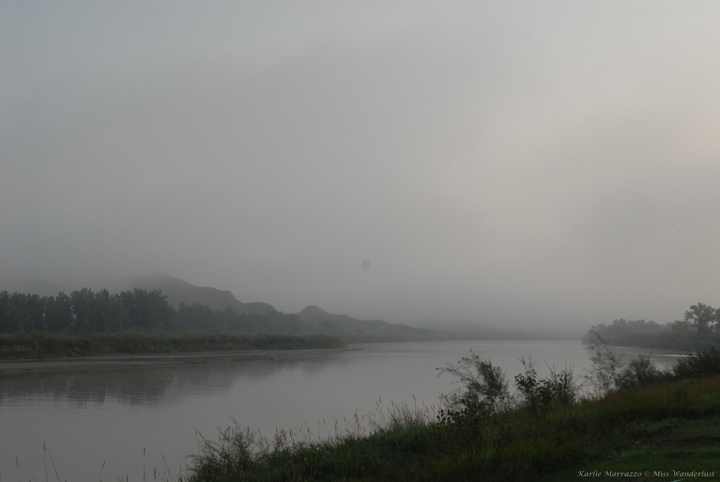 Due to the rain and the location of the campsite right beside the Red Deer River, mosquitoes were everywhere and devouring Dave. They didn’t seem to be bothering me through my haze of bug spray, but I was rudely awakened the next morning. 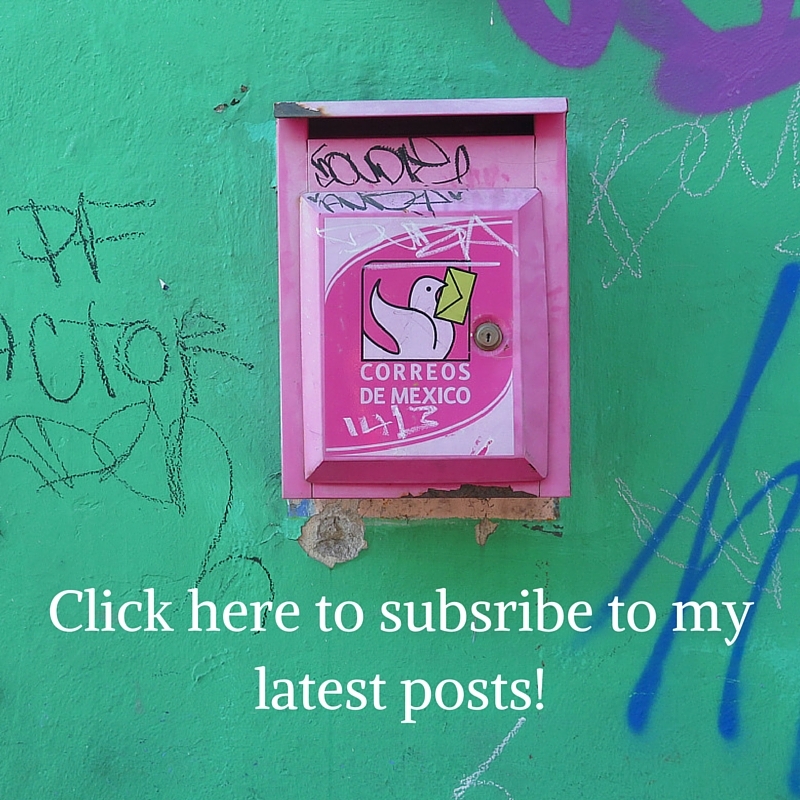 Even though I was doused with spray and slept under the mosquito net, I woke up to my legs completely covered in itchy, swollen mosquito bites. There are lots of great activities and hikes offered through Alberta Parks at the visitor centre, and that day, our seventh wedding anniversary, we took the Centrosaurus Quarry Hike, a guided three-hour hike through “rugged streambeds and over sandstone ridges to reach a bonebed that contains the remains of hundreds of horned dinosaurs.” Max capacity for the group is 24, but we were lucky and ended up in a small group of six. We chose to do the hike in the morning rather than the afternoon to escape some of the brutal high summer heat. Our guide, Sarah, was an energetic and perky university student studying Environmental Studies and working in the park over the summer. She was a great guide, clearly passionate about the park and her field of study. I walked in awe through the bizarre landscape, learning about the history of the dinosaurs and how the landscape today has evolved so much since the time of the dinosaurs 75 million years ago. Sweaty, dusty and covered in bug spray after the hike, I took my first ever pay shower – $2 for every 5 minutes. Anxious that my time would run out, I brought extra change, but I surprised myself and made it with time to spare. After enjoying our anniversary dinner cooked on the BBQ with a couple of ciders, we set out to see the sunset from a different vantage point. 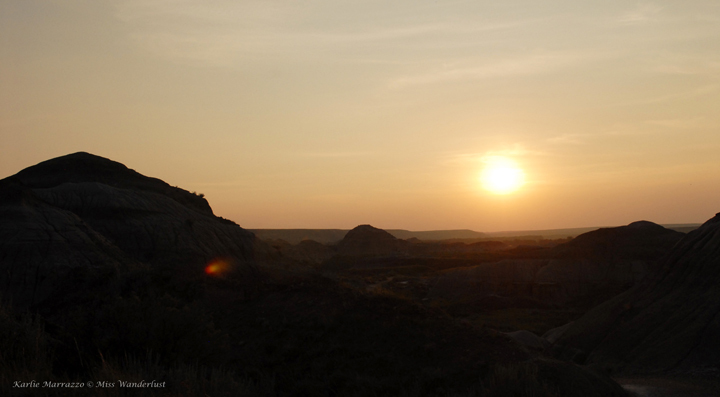 We hit the Badlands Trail at 19:00 and took in another spectacular sunset, sans haze. The rest of our time in the park was spent relaxing and taking it easy, relishing in the slower pace of life. Reading on the porch, making lunch and not a lot else. We walked the short but fabulous Coulee Trail, my favourite of all of the public trails. That night there was magnificent storm, complete with heavy rain, deafening thunder and intense winds. We certainly felt like we were roughing it at that point, barely separated from the elements and parts of our tents flying off. We spent three nights in the park, which was a nice amount of time to unwind, hike all of the public trails and get a taste for the park. If you are an avid photographer or want to do more of the activities offered through Alberta Parks, you could spend even more time there. 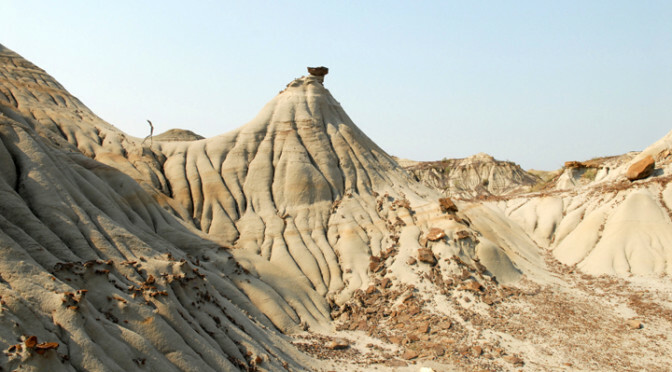 Or combine your trip to Dinosaur Provincial Park with a visit to the town of Drumheller, home to the famous Royal Tyrrell Museum and the World’s Largest Dinosaur. Climb up the giant green Tyrannosaurus rex and peer down over the town through its mouth. 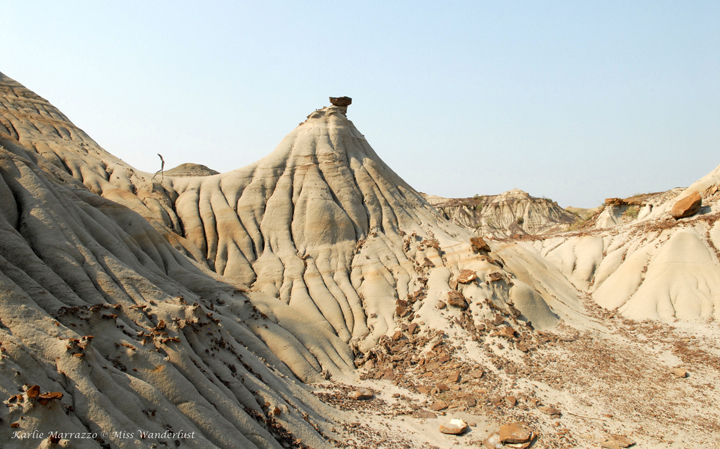 For a complete photo gallery of my shots from Dinosaur Provincial Park, click here. Inside our comfort camping unit at Dinosaur Provincial Park. Online and phone booking for all Alberta campgrounds opens up in late February. Check their website for the specific date. We booked right at 9am on that day and got the spot we wanted, but the spots filled up extremely quickly. Be prepared if there’s a specific date you’re looking for, especially on summer weekends. Note: This is not a sponsored post. All words are my own, and the information and links provided are sites I found useful during my planning process. All of the photos you see on my website are available for purchase as prints. Please contact me with any questions or for information and pricing. 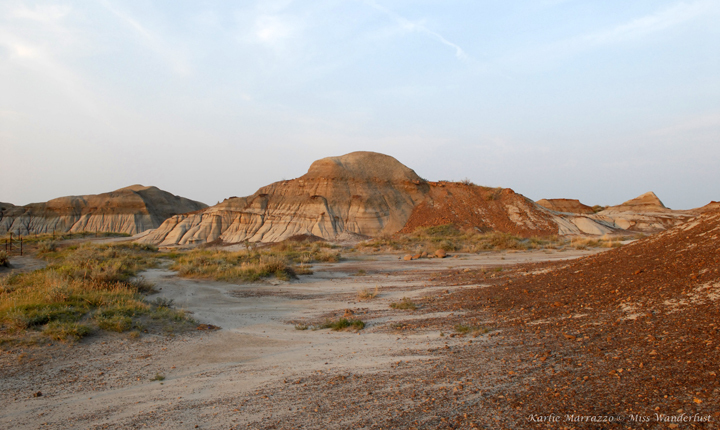 Have you been to Dinosaur Provincial Park? Want to go? Leave your thoughts in the comment section below! This looks like a fantastic trip (minus the mosquitos). Sounds like a perfect way to enjoy an anniversary. And that “tent” looks incredible. 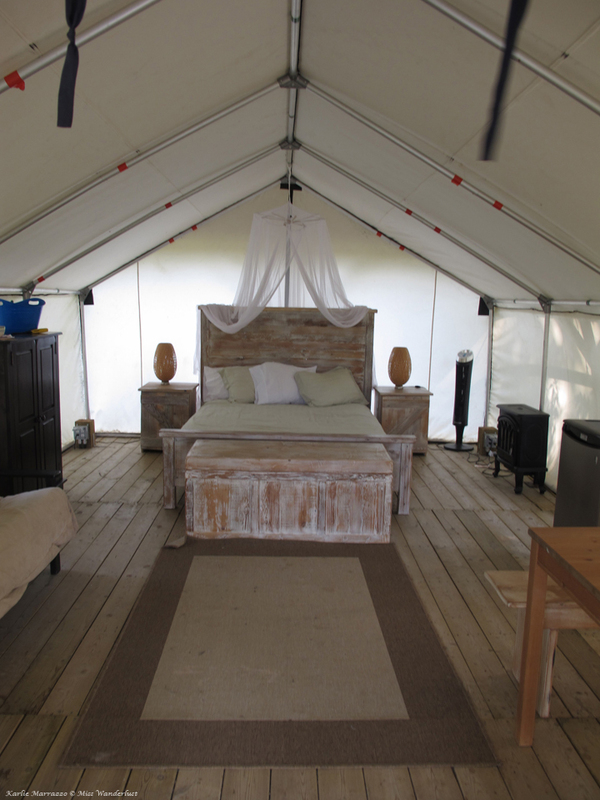 We’re doing it again this summer (comfort camping) at Writing-On-Stone Provincial Park. Can’t wait! Makes me want to go there again. Love your photos. Well hello Karlie and Dave! How many anniversaries now? Linda and I are doing fine, still travelling. Going to Newfoundland this August, and next year close to a month in Prague, Vienna, and Budapest. Couple of years ago we visited, Amsterdam, Croatia, Bulgaria, would recommend Croatia to anyone and everyone. We were in California earlier this year, stayed in sausilito, great spot, sun shone every day there! Damp and drizzly in San Fran. The earthquake awoke us once again,,,, same thing happened in Azores when we were there, a year or so ago! I guess we rock the world wherever we travel. So nice to hear you are still wandering. Hey Jackie! This year will be #8! So nice to hear from you again ~ maybe we’ll see you out there somewhere on the road. We’re going to New York in a couple of weeks to celebrate my 30th birthday. Wow, it looks really lovely! I would love to visit myself! Hi; A great Park, but the insect bites were insane. My wife would end up with over 20 on each leg, and over 60 in total. Only one came from a mosquito. There was another bug doing the work. Pests. -But the Park itself was excellent. Nice page…you have here. Thank you. 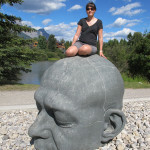 Great review and photos of a very interesting ( geographical and historical aspects) part of Alberta. Well done!